100 years since the birth of Milosz. June 30th, 2011 marks the 100th anniversary of the birth of Nobel Prize winning poet Czeslaw Milosz. Polish President Bronislaw Komorowski has inaugurated an International Centre of Dialogue in an estate in Krasnogruda, close to the Lithuanian border. The ceremony was attended by the poet’s son, Anthony Milosz, and by representatives of Polish and Lithuanian governments. The house belonged to the family of the poet’s mother. 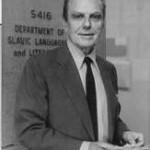 Czeslaw Milosz was born in present-day Lithuania, to partly Polish, partly Lithuanian parents, and was brought up in the multinational milieu of Vilnius. He graduated from the University of Vilnius with a degree in law. In 1951, Milosz appealed for political asylum in Paris, then in 1960, he moved from France to the United States. He taught for many years at the University of California, Berkeley. After the fall of communism, the poet returned to Poland and spent the last years of his life in Krakow, where he died in 2004, at the age of 93. His best known work was The Captive Mind, which looked at the treatment of intellectuals under communist rule. His poetry was widely acclaimed internationally, but it was not until 1973 that his work was translated into English, allowing it to be appreciated by a wider audience. For Lithuanian President Dalia Grybauskaite laying a memorial plaque at Vilnius University the poet’s work is a testament to Polish-Lithuanian solidarity. The most important event of the Milosz Year was the Literary Festival, which took place in Krakow from May 9th to May 15th .